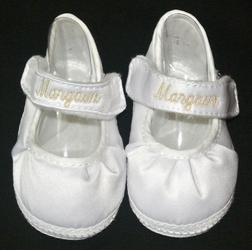 These are the most adorable monogrammed personalized infant crib shoes, pre-walkers, for baby girls! 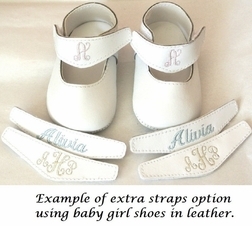 They can be monogrammed with the child's three initials. 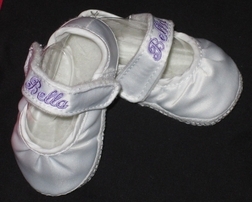 The shoes are made of soft, cushy fabric with soft bottoms. They fasten across the instep with velcro straps.